My husband went to the Naval Academy and spent 6 years in the military. He still has many friends from college that are serving in some capacity. We also have a few close friends where we live who have served or are currently serving in the military. This is a huge commitment and sacrifice with the world we currently live in. My husband and I often donate to a few different military organizations to help those that have been injured while serving. When I saw Walmart was exclusively offering a 1 For You, 1 For the Troops campaign I could not resist to grab a few bags of these patriotic themed candies. With all the summer holidays and entertaining having some large bags of M&M’s® and Skittles® on hand will be very helpful. 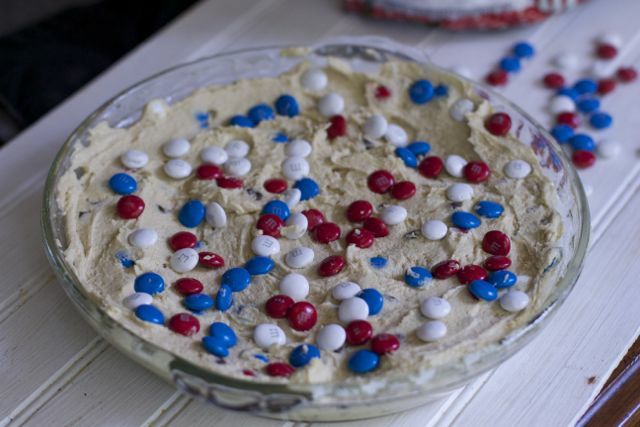 Plus I am sharing 2 Patriotic recipes using the M&M’s® Red, White, & Blue Milk Chocolate to serve up at your next summer party. We had a Memorial Day BBQ this weekend and this was the perfect excuse to use M&M’s® Red, White, & Blue Milk Chocolate in two fun patriotic cookie recipes. 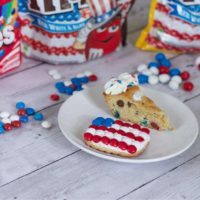 I have seen cookie cakes on Pinterest using left over Halloween Candy, and thought it would be fun to make some with a Red, White and Blue theme. 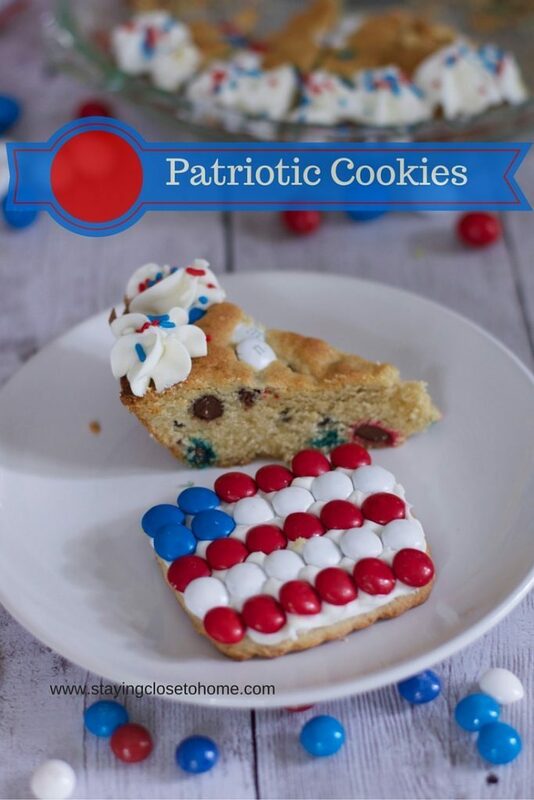 This Patriotic cookie recipe is easier to make than individual cookies and looks so festive on your dessert table. Simply mix your ingredients in a mixer so you ensure a fluffy batter. Fold in chocolate chips and your M&M’s® Red, White, & Blue Milk Chocolate. You don’t want to use the mixer or they will break. 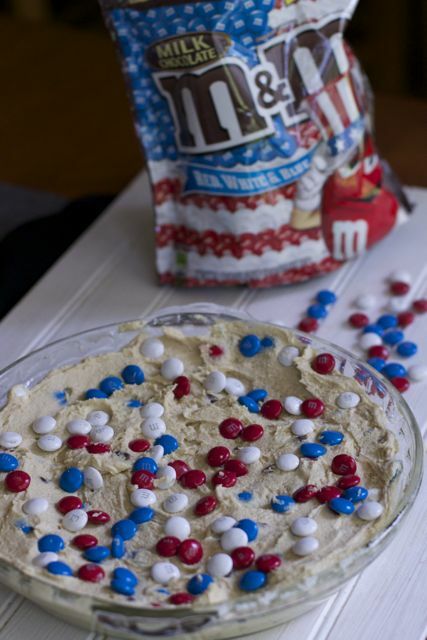 Spread your batter into a glass pie plate and top with additional M&M’s® Red, White, & Blue Milk Chocolate. Allow to bake and cool completely. 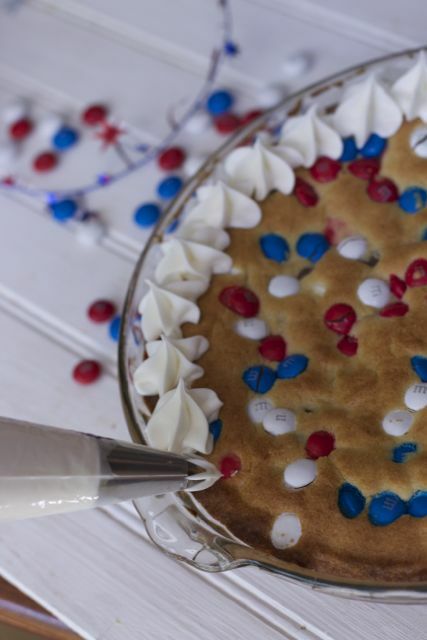 When the patriotic cookie cake is completely cooled, you can decorate it with a white frosting in a piping bag fitted with a star tip. 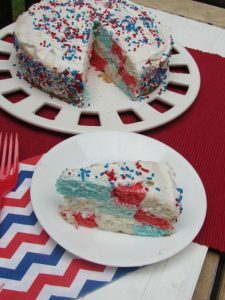 Dab a little frosting around the edge of the cake and sprinkle some red, white and blue sprinkles for some extra fun. I recommend cutting these into 16 slices as the cookie cake is dense and rich. A small slice is all you really need. 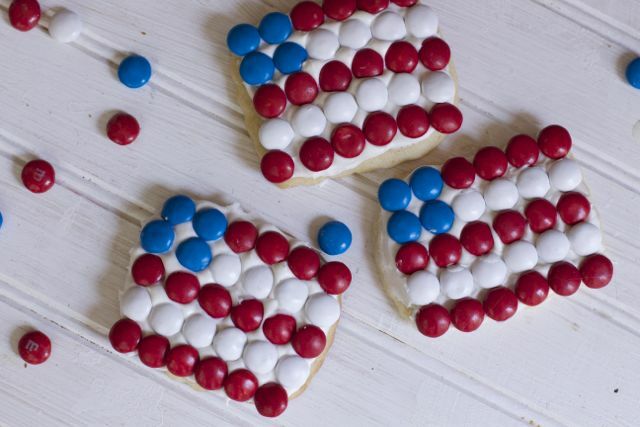 Plus if you have time to make a batch of these adorable flag cookies your guests are going to want to save room for these as well. 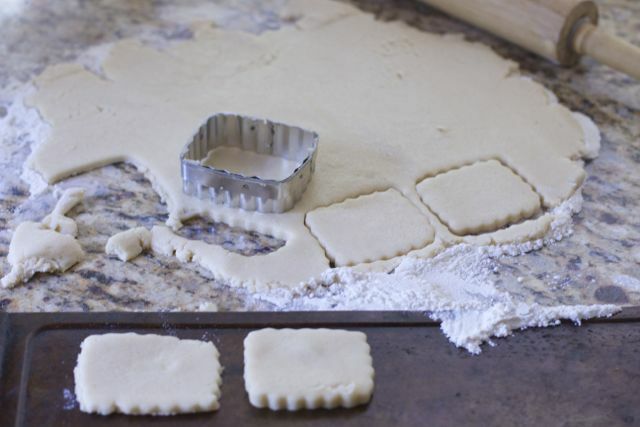 Make a batch of your favorite sugar cookie recipe. Roll them out and cut out rectangles. Bake, allow to cool completely and then have fun decorating. I enlisted a few of my daughters friends who were taking a break after taking a final exam. 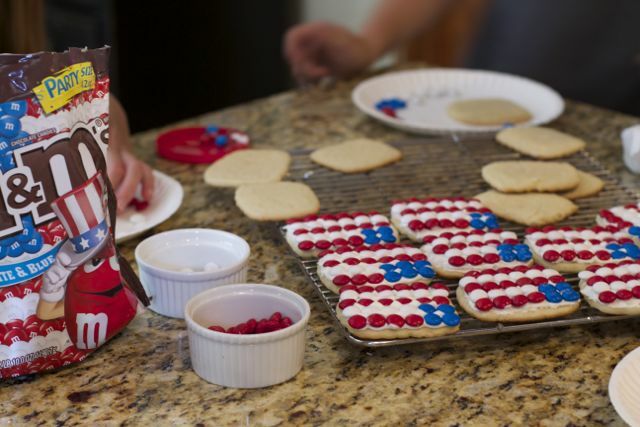 These flag cookies are such an adorable and simple way to show your support for our Troops. 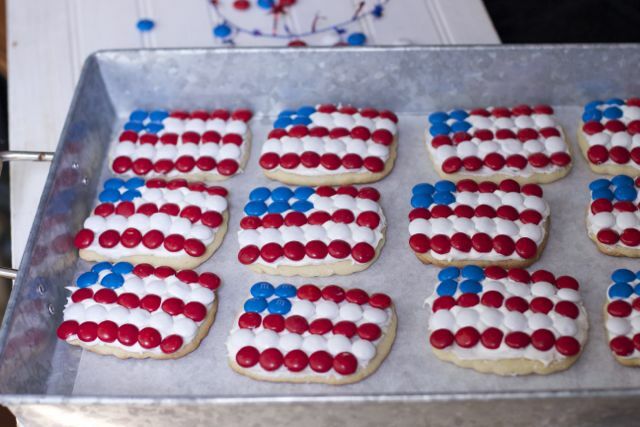 Look how festive these flag cookies look on a summer galvanized tray. Preheat oven to 350 (F) degrees. Generously grease a 9-inch pie dish with butter or non-stick spray; set aside. 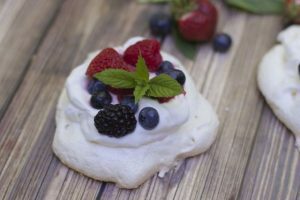 In a large bowl of a stand mixer fitted with the paddle attachment, beat the butter on medium-high speed until completely creamy; about 1 minute. Add the granulated sugar and the brown sugar and beat on medium-high speed until fluffy; about 2 minutes. Add in eggs and beat until combined, scraping down the sides and bottom of the bowl as needed. In a separate bowl, combine flour, baking powder, and salt. Reduce the mixer speed to low and slowly mix the dry ingredients into the wet ingredients, stirring just until combined. Add 1/2 cup of chocolate chips and 1/2 cup M&M's® Red, White, & Blue Milk Chocolateand stir until just combined. 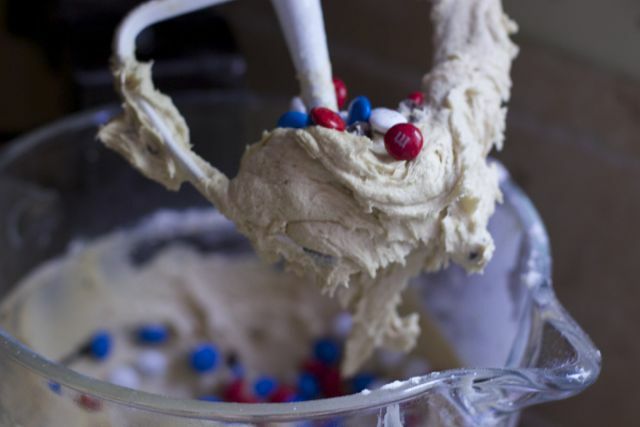 Press the cookie dough evenly into the prepared pan, and sprinkle the remaining M&M's® Red, White, & Blue Milk Chocolate on top, just gently pressing it down with a spatula. Bake for 25 minutes or until the cake is lightly golden brown and set in the center. Allow the cake to cool completely and then decorate the edge with frosting and sprinkles if desired. Did you know M&M’s® were originally created for the troops? Keep the tradition going and buy M&M’s® at Walmart or Walmart.com. 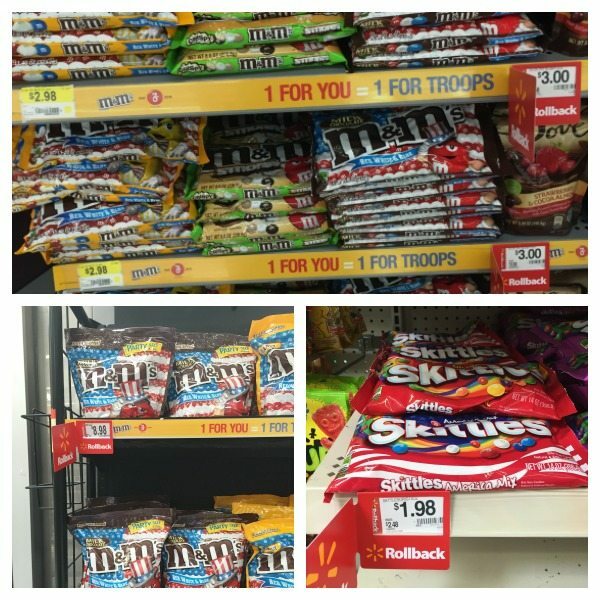 MARS/Wrigley is showing appreciation of our troops by donating M&M’s® to the troops for every bag purchased at Walmart. I know when we used to send care packages to our friends we would always include at least one bag of M&M’s® in their boxes. It is a true icon of American snacks and why not use them to make some patriotic cookies to serve your friends and family as we celebrate our country as well as support our troops. Be sure to be on the look out for M&M’s® Red, White, & Blue Milk Chocolate, M&M’s® Red, White, & Blue Peanut, and Skittles® Red, White, & Blue and remember to buy a few extra knowing more are being donated to the troops. Be sure to look for more patriotic recipes here. What patriotic food would you make with these M&M’s® Red, White, & Blue Milk Chocolate, M&M’s® Red, White, & Blue Peanut, and Skittles® Red, White, & Blue candies? I would probably make a simple M&m chocolate chip cookie ! But what you made a super cute! Thank you to your husband for his service thank you giving your husband up while he was away serving. helps when they are 14 year old girls. I will let the “cooks” know! I appreciate it and will forward these comments to my husband. That cookie cake looks amazing! I want a slice of that right now! Thanks for the recipe. What great ideas! 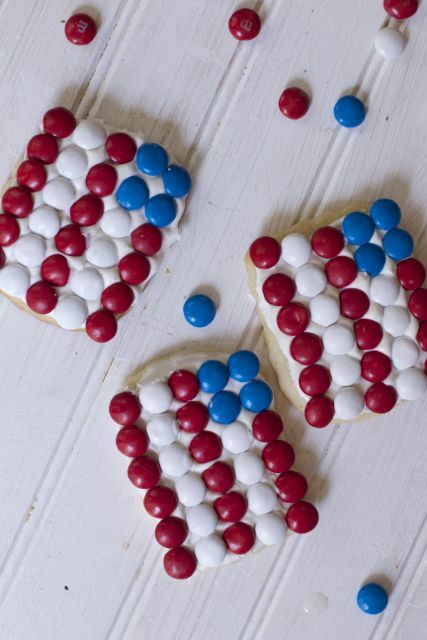 I love the flag cookies and will definitely be making those for the 4th of July with my kids! Thank you to your husband for his service and thank you to you for supporting him! Mine just retired two weeks ago from active duty. 🙂 These cookies look really fantastic and I think I’ll make them around the 4th of July for a patriotic treat! First of all….thank you to your family and friends for their service! The cookies are super cute! ? These cookies are really cute! And I love how you made the patterns of the flags with M&Ms! Those treats look amazing! 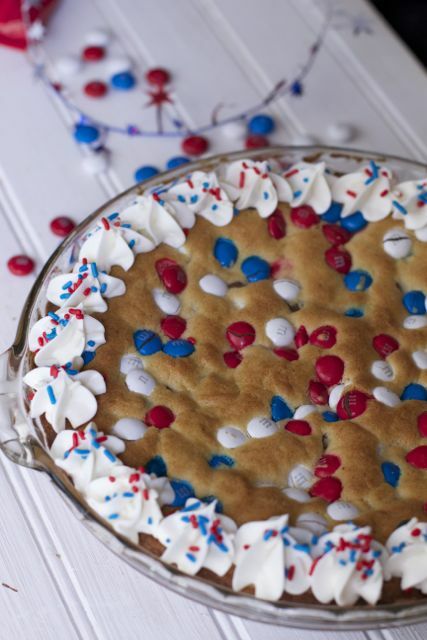 I will have to try the cookie pie for the 4th of July for my family’s barbecue! Your flag cookies came out amazing, almost too pretty to eat. 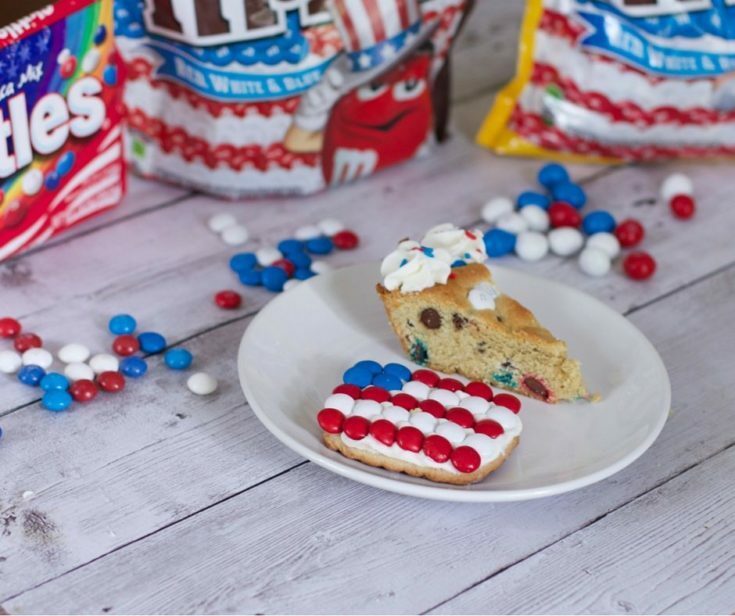 I love the M&M shaped flag cookies. I love that kids could do the decorating work and save me the time, LOL. Very cute cookies! What a cute idea to celebrate the 4th of July. I don’t need an excuse to enjoy any kind of cookie with M&Ms. Great recipe for the kids to make too. This is such a cute idea! I love the little flags and they’re so simple. Definitely trying these next month! 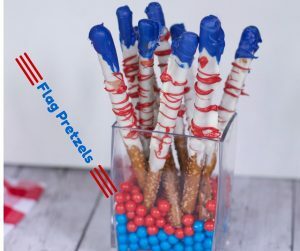 You can also make them for fourth of july!! How cute! I would probably make some type of candy fruit pizza decorated like a flag. I’m saving this recipe to my collection now. Thanks for sharing. My kids love M&Ms. We also bought them this memorial day from Walmart’s to show our support for the troops. I didn’t think to make cookies out of them though..we ended up just eating them out of the bag! I’ll definitely save this recipe for next year, it looks delicious.